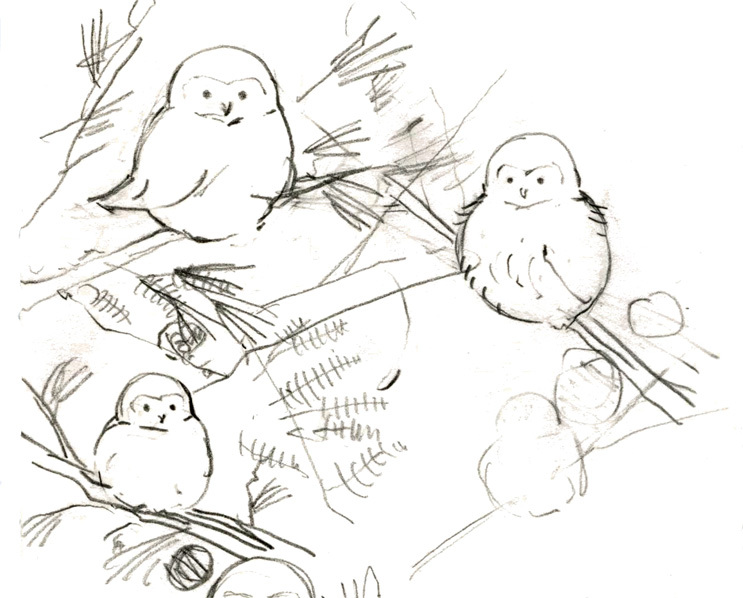 These are just a few preliminary owl sketches. Usually my illustrations tend to closely resemble the sketch. Other times the sketch just turns out to be a quick doodle of the idea and once i start drawing it changes quite a bit. 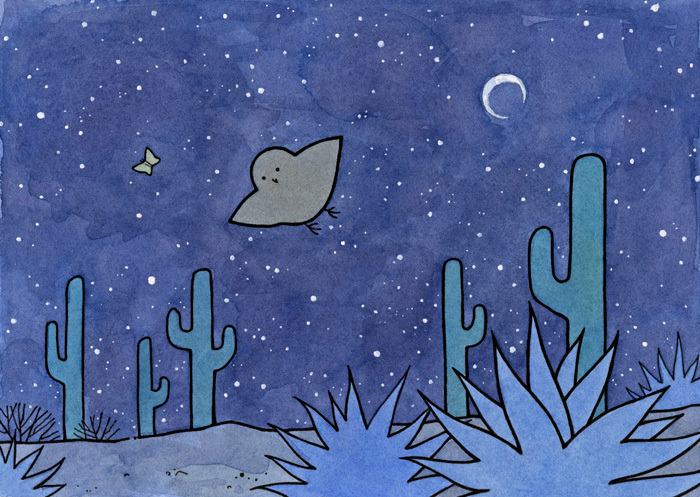 The elf owl desert night scene went through some major changes as I drew, including the addition of the large agave plants. I liked how this illustration kind of developed intuitively as I drew it – the end result was sort of a nice surprise I didn’t expect. Often I like my doodles and sketches as much as the finished pieces. I think they are important – this style of illustration is influenced directly by my doodles, especially the doodling I use to do during school. A lot of the good ideas I’ve had came from doodling to ease boredom. 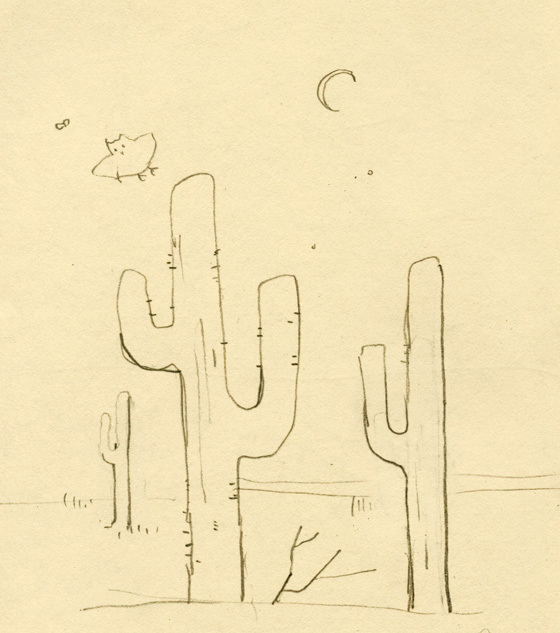 I don’t have much time to be bored anymore, but I do try to set aside time to doodle in my sketchbooks. Yes, love the intuitive art that pours out when the artist is in :: the zone :: thanks for sharing them ! Haha. Yes, the zone is good.